The Order of Saint George In Carinthia - The Order was established by Emperor designate Rudolph I of Habsburg (1273-1291) in 1273 to continue the Order of Saint George of Austria. It was re-established on Christmas night in Rome in the year 1468 by Emperor Frederick III (1452-1493) as lay and religious, military and civil Dynastic Order. The Order was approved on 1st January 1469 by Paul II (1464-1471) and again in 1472 by Sixtus IV (1471-1484). It was amplified by Emperor Maximilian I (1493-1519) and approved Alexander VI (1492-1503) in 1493 together with the Confraternity of St. George in Carinthia, to which he asked to be admitted as a member together with the Sacred College. In the fifteenth and sixteenth centuries the Order was described as one of the most important of the Holy Roman Empire. It had taken the form of a religious military order in Germany. The first thirteen Prince Grand Masters of the Order were all from the House of Habsburg and were descended from the Emperor Rudolf I. 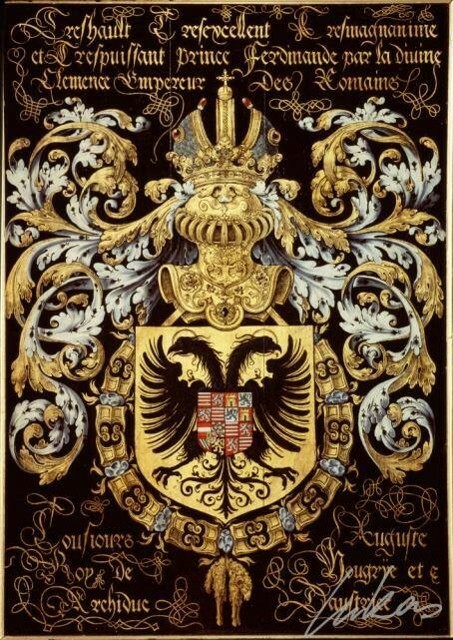 The Grand Master of the Order was conferred with the Imperial Title and Honor of a Prince of the Holy Roman Empire, and granted the Seat and Residence to him and his Successors, the Castle of Mildstad in the Duchy of Carinthia. 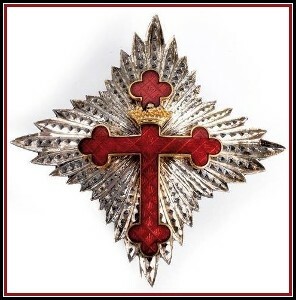 The badge consisted of a four pointed star with a red enamel cross botonne in the centre, bearing the Carinthian Crown of the Holy Roman Empire on the upper arm. The emblem to signify the Order is the classical St. George slaying the dragon. The purpose of the Order was to defend the Holy Catholic Faith against all heretics, specifically, against the invading Turks and to guard the Frontiers of Germany, Hungary, Austria, Stiria, Carinthia. 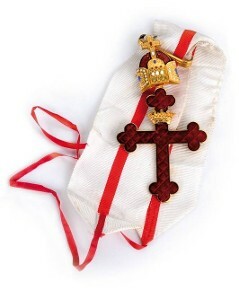 The present status of the Order of Saint George In Carinthia, is that of a Holy Chivalric Order of the Holy Roman Empire, as such all Rights, Patrimony and Property (including the usage of all Armorial Bearings, Signs and Symbols), of the Order of Saint George In Carinthia come under the exclusive ownership and protection of the Holy Roman Empire Association - ASSOCIAZIONI dei NOBILI del SACRO ROMANO IMPERO. The Present Nominal Prince Grand Master of the Order of Saint George In Carinthia is the Chancellor of the Holy Roman Empire Association. 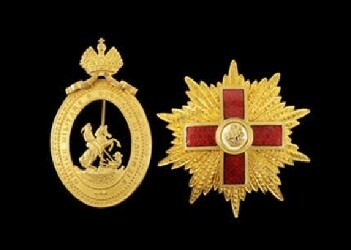 Copyright (C) The Holy Roman Empire Association, hold full International Copyright to the Order of Saint George In Carinthia. Copyright Held 2016 - All Rights Reserved Protected by European, U.S. and International Copyright Laws.